T Today on the T. Randolph and Friends broadcast T. Randolph talks about “God’s Shoelace”. Many people know that we need to love others, but we want to do it without getting close to them, in their space, or trusting them in their life. Loving people the way God wants us to love people is very, very difficult. He said not only love the people who are friendly, kind and loving to you, but love those who are not lovely, not caring, not kind, not friendly, and not encouraging -He told us to love our enemies. This is difficult. 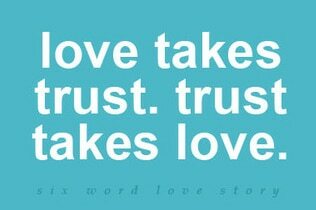 The human condition is that to love takes trust. Love is not just about tolerance. Love is deeper than that, love REQUIRES trust. This is risky and threatening to us, so instead we choose “emotional insulation” from those who might potentially hurt us. Maybe the notion of “love” equates to injury or harm from our growing up years. So when someone says they love us, we cringe, shrink back and run away. Often times this can lead to feelings of not being capable or deserving of the one true love, God’s love. 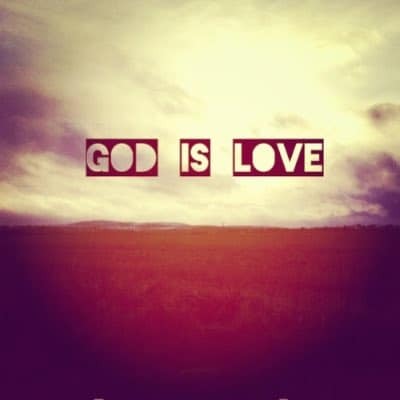 We think of love as conditional, “God will love me…IF”. It has to be earned, so I will do good to get brownie points with God. At times we will show love to others, without trusting them. In a recent article in Spirit & Truth Blog entitled, Love Requires Trust, author Luke Seavers discusses I Cor. 13, arguably the most profound piece of scriptural text on the subject of love. Seavers talks about how love and trust need to go hand-in-hand, but often we try to separate them. 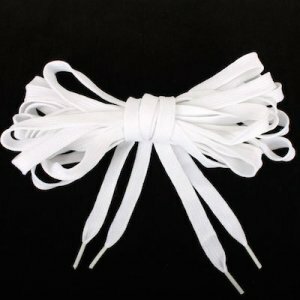 Imagine our lives like a clean, white shoelace. Soft, smooth, fresh and new… much like our lives after we receive God’s redemption in our lives. When God touches our lives with grace that we do not deserve, we are more compelled to share His gracious love with others. But somewhere along the way, we lose sight of His grace, and choose to not love someone else. This is the first knot in the shoelace. Then we exclude others and gossip about others…tying another knot in that no longer fresh lace. We avoid others, we take from others, we stop caring…and tie another knot in that shoelace. We listen to the voice that says, “I’m not good enough for God to love me”…and tie knot upon knot in that shoelace. Over time “God’s Shoelace”, the gift of abundant life that he gave to us, has become a knotty, dirty, ugly, mess: tangled strands of our own selfishness, our own pride, our own arrogance and conditional love. Sometimes the knots are tied by an attitude of, ‘I want to be perceived as a good person because I do good deeds for others.” However, love is not a mathematical formula of doing good to others to gain acceptance from God and from people. Listen to how T. Randolph uncovers this mystery, as he discusses the difference between love according to society’s standards and the teachings of Jesus.